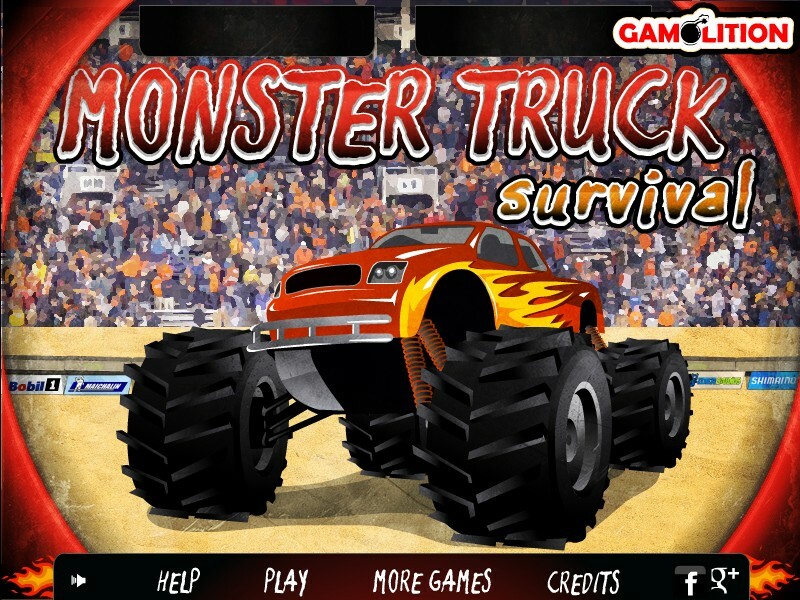 Monster Truck Driving Action Truck Upgrade Gamolition Click to find more games like this. 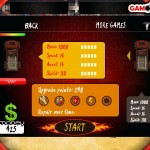 Cheat: Keyhack 1 add health, 2 add cash. Keyhack 1 add health, 2 add cash. 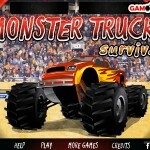 A new type of arena game is here: the Monster Truck Survival! 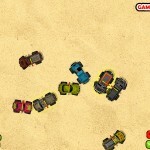 See if you are skilled enough to win the championship of this amazing game! You start off with a slower car, but you get to buy better cars if you gather enough money. Each car has a different mass, speed, acceleration and shield. 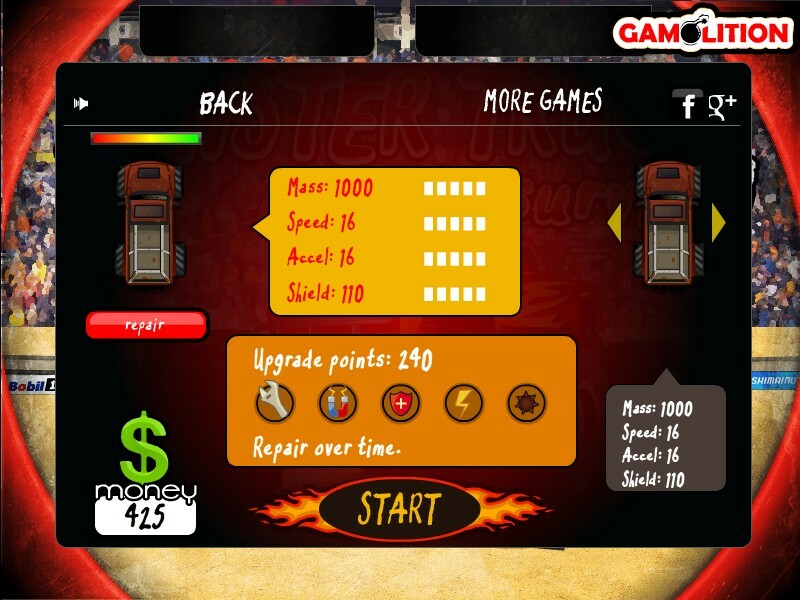 You can also upgrade the car that you already have and repair it between levels. You can also buy some special upgrades that will repair your car over time, attract nearby power ups, improves your armor, turbo or mines. 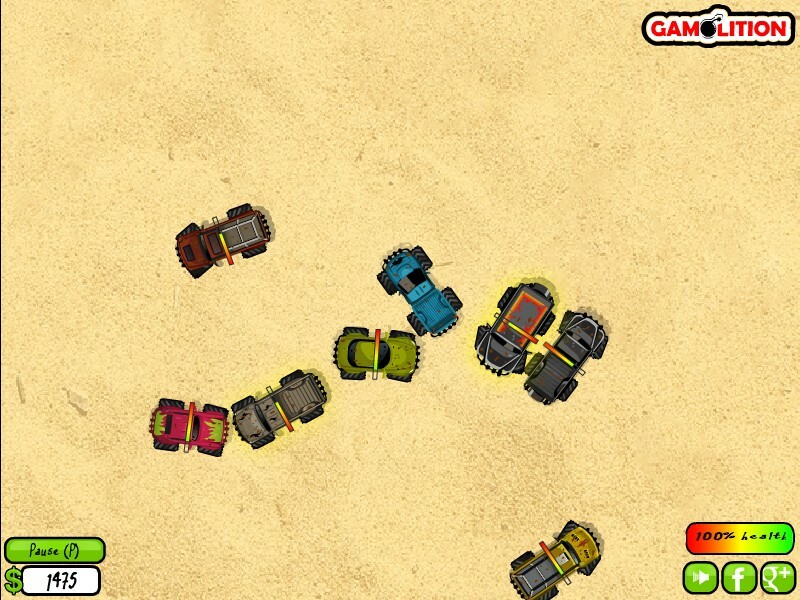 Use your arrow keys to drive your car, your X key to activate turbo and the Z key to drop mines. 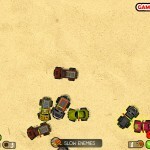 You have to destroy the monster trucks of your opponents before they destroy yours. There are a lot of awesome power ups that you can pick up and can help you in the game, like giving you extra cash, slowing down your opponents or even get a double damage power. 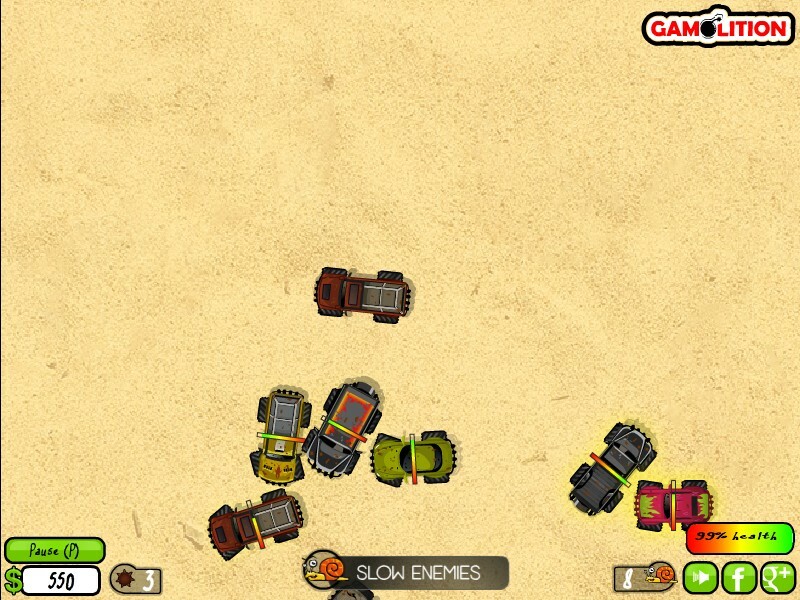 You can see your health bar in the bottom right corner of the screen and the health bar of your opponents above their trucks. The round ends when there is only one survivor. Have a blast!